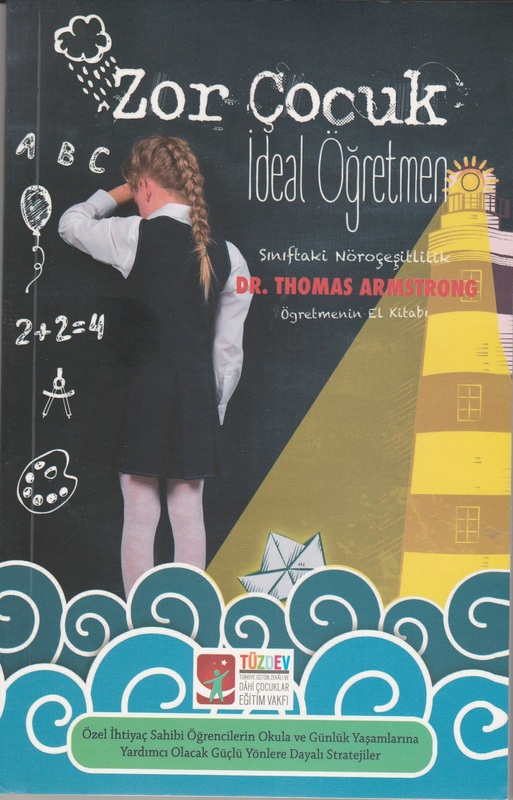 Dr. Armstrong's Translated Books | Thomas Armstrong, Ph.D. Multiple Intelligences in the Classroom, 2nd Ed. Educational Book House and Dhahran Ahliyya Schools, P.O. Box 31775, Akrabeyah 31952, Al Khobar, Saudia Arabia. email: dar-alkitab@das.sch.sa ; website: www.das.sch.sa. ISBN 9960-863-25-5. The Best Schools: How Human Development Research Should Inform Educational Practice. Arab Centre for Arabization Translation, Authorship, and Publication, Damascus, Syria. www.acatap.org ; acatap@net.sy – ISBN 1-4166-0457-X. The Best Schools, Capital Normal University Press, Beijing, www.cnupn.com.cn; zunshiyuan@hotmail.com. ISBN 978-7-5656-0337-2. In Their Own Way (rev. ed.). Xinhau Publishing House, No. 57, Xuanwumen Xi Dajie, Beijing 100808, People’s Republic of China. Forthcoming. You’re Smarter Than You Think: A Kids’ Guide to Multiple Intelligences. China Women’s Press, Beijing. Forthcoming. Awakening Your Child’s Natural Genius. (PRC). Xinhau Publishing House. Forthcoming. 7 Kinds of Smart. Fine Press Publishing Co. (Taiwan) ISBN: 957-679-155-3. 7 Kinds of Smart (rev. ed.). Yuan-Liou Publishing Co., Ltd. 7F-5, 184, Ding-Chou Rd. Sec 3, Taipei, Taiwan; Fax: 886-2-3687540. ISBN 957-32-4315-6 (176). In Their Own Way. Yuan-Liou Publishing Co. Ltd.. (Taiwan) (e-mail: ylib@yuanliou.ylib.com.tw). ISBN 0-87477-466-7. The Myth of the A.D.D. Child. New Inspiring Press (Taiwan). ISBN 957-0383-44-5. Multiple Intelligences in the Classroom, 2nd Ed., Yuan-Liou Publishing Co., Ltd. ISBN 957-32-4804-2. You’re Smarter Than You Think: A Kids’ Guide to Multiple Intelligences. Parenting Source Press, Taiwan. ISBN 978-986-7047-69-4. You’re Smarter Than You Think: A Kids’ Guide to Multiple Intelligences. 2nd Ed. Parenting Source Press, Taiwan. www.parenting.com.tw – ISBN 978-986-398-057-5. Croatia. Contact: Ilona Posokhova, tel: +385 44/732-888, http://ostvarenje.crolink.net. The Best Schools. EDUCA Publishers, Ltd. of Zagreb, Croatia. Forthcoming. You’re Smarter Than You Think. Portál, s.r.o., Praha. tel: 283-028-203, email: obchod@portal.cz. ISBN: 978-80-262-0019-2. Multiple Intelligences in the Classroom. Adlandia (Lille Mosevej 8, 3050 Humlebaek, Denmark) adlandia@post8.tele.dk ISBN 87-981179-1-2. Meervoudige Intelligentie bij lezen en taal [The Multiple Intelligences of Reading and Writing], Bazalt, Edisonweg 2, 4382 NW Vlissingen, NETHERLANDS. www.bazalt.nl. ISBN: 978-90-74233-84-2. 7 Kinds of Smart. Publisher: Editions J’ai Lu . ISBN 2-277-07105-6. Multiple Intelligences in the Classroom, Cheneliere/McGraw-Hill, 215, rue Jean-Talong Est, Montreal (Quebec) CANADA H2R lS9. Contact: Robert Par . ISBN 2-89461-169-2. ADD/ADHD Alternatives in the Classroom, Cheneliere/McGraw-Hill, Montreal (Quebec) Canada. ISBN: 2-89461-713-5. The Radiant Child. Publisher: Synthesis Verlag (Postfach 14 32 06, D-45262 Essen). ISBN 3-922-026-59-1. The Myth of the A.D.D. Child (Das M rchen vom ADHS-Kind: 50 sanfte M glichkeiten, das Verhalten Ihres Kindes zu verbessern – ohne Zwang und ohne Pharmaka) Publisher: Junfermann Verlag, Imadstr., 40, D-33102 Paderborn, Germany. http://junfermann.de/ ISBN 3-87387-494-6. Awakening Your Child’s Natural Genius. Ach Publishing House, P.O. Box 170, Kiriat Bialik, 27000, Israel; tel: 04-727227 ;04-7222096 fax: 04-417839). No ISBN Number. Multiple Intelligences in the Classroom. Publisher: Branco Weiss Institute for the Development of Thinking (P.O. Box 648, Jerusalem 91006< Israel). No ISBN Number. You’re Smarter Than You Think: A Kid’s Guide to Multiple Intelligences. Dani Books Ltd. No ISBN Number. The Myth of the ADHD Child: 101 Ways to Improve Your Child’s Behavior and Attention Span without Drugs, Labels, or Coercion. Jaffa Kiado Kft, Király u. 16, Budapest, 1061, Hungary, phone: 36 1 887 4840, http://www.jaffa.hu. Forthcoming. Fjölgreindir í skólastofunni. (Multiple Intelligences in the Classroom 2nd ed.). Translated by Erla Kristjánsdóttir. JPV Publishers, Braedraborgarstig 7, 101 Reykjavik, Iceland; tel: 354-575-5600; fax: 354-575-5601; Contact: Johann Pall Valdimarsson; e-mail: johann@bbs.is ISBN 9979-761-52-0. Klárari en pú heldur (You’re Smarter Than You Think). The National Centre for Educational Materials (Námsgagnastofnun), Laugavegi 166 – 105 Reykjavík, Iceland. Email: upplysingar@nams.is. ISBN 9979-0-0990-X. Multiple Intelligences in the Classroom (2nd ed.). Mizan Pustaka, Jl. Yoklaki 16, Bandung 40124, Indonesia. Contact: Sari Meutia: dbu@mizan.com. ISBN 979-9452-48-1. Awakening Your Child’s Natural Genius. Binarupa Aksara Publishers, Pertokaoan Taman Harmoni #10, Pondok Cabe, Jakarta Selatan 15418 Indonesia. Contact: Daru Susilo: darulyndon@cbn.net.id. No ISBN number. You’re Smarter Than You Think: A Kids’ Guide to Multiple Intelligences. Binarupa Aksara Publishers, Jakarta (see above). Forthcoming. Awakening Genius in the Classroom. Interaksara, P.O. Box 238, Batam Centre, 29432, Indonesia. No ISBN. The Best Schools. Mizan Publishing House, Gedung MP Book Point, Jl. Pur Mutiara Raya No. 72, Jakarta 12410. email: info@mizan.com. 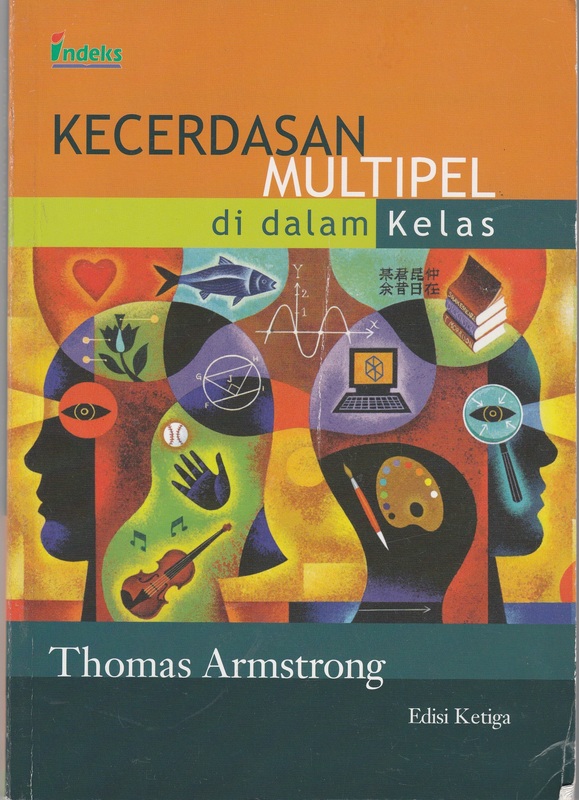 The Multiple Intelligences of Reading and Writing, Indeks, Permata Puri Media, www.indeks-penerbit.com ISBN 978-979-062-462-7. Multiple Intelligences in the Classroom (3rd ed). Indeks, Permata Puri Media, www.indeks-penerbit.com. ISBN 978-979-062-005-6. A Modo Loro: Valorizzare le intelligenze multiple nel bambino. (In Their Own Way). Traduzione di Mariagrazia del Vescovo. Edizioni La Meridiana (Via M D’Azeglio 46, 70056, Molfetta Bari, Italy). www.lameridiana.it ISBN 88-87507-11-2. 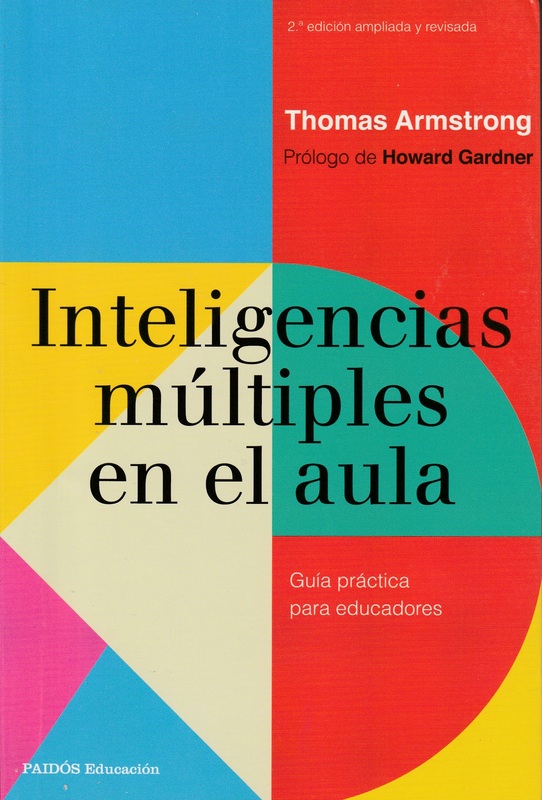 Multiple Intelligences in the Classroom (2nd ed.). Publisher: Shogakukan, Inc. 3-1 Hitotsubashi 2-Chome Chiyoda-Ku, Tokyo 101-8001; Contact: Akiko Sejima, phone: 03 (3230) 5682; fax: 03 (5214) 6028; e-mail: sejima75@mail.shogakukan.co.jp ISBN4-09-850011-6. The Power of Neurodiversity. Publisher: NHK Publishing Inc. 41-1, Udagawa-cho, Shibuya-ku, Tokyo 150-8081, Japan; phone: +81-3-3464-7311; fax: +81-3-3780-3353; http://www.nhk-book.co.jp . ISBN 78-4-14-081608-0. The Myth of the ADHD Child. Kashiwashobo Publishing Co. Ltd., 2012, Address: Oga Bldg. 8F 2-5-4 Sarugaku-cho, Chiyoda-ku, Tokyo 101-0064, info@booksfromjapan.jp, ISBN-13: 978-4760140770. You’re Smarter Than You Think: A Kids’ Guide to Multiple Intelligences. Bumwoosa Publishing, Seoul, Korea, 2002, http://www.bumwoosa.co.kr. ISBN 978-89-08-04419-7. You’re Smarter Than You Think: A Kids’ Guide to Multiple Intelligences. Miraebook Publishing Co., 2013. www.miraebook.co.kr. email: miraebookjoa@naver.com. ISBN 978-89-5989-217-4. Awakening Your Child’s Natural Genius. Chang Kwa Chang. (949-3 Daechi 3-dong, Kangnam-ku, Seoul, Korea). Contact: Mr. Chang Yoon, email: Yoon@hibrain.com. Forthcoming. Multiple Intelligences in the Classroom, 3rd Edition. Seoul, Korea: Hakjisa Publisher Inc., 2014. http://www.hakjisa.co.kr . ISBN: 978-89-997-0358-4. 7 Kinds of Smart. Publisher: AS EFI Forlag (Address: AS EFI, Boks 8358 Hammersborg, 0129 Oslo). ISBN 82-90491-67-0. Multiple Intelligences in the Classroom (2nd. ed.) Artes Medicas, Av.Jeronimo de Normellas, 760, Porto Alegre, RS 90040-340 Brazil.. ISBN 85-7307-635-6. 7 Kinds of Smart (rev. ed.). Distribuidora Record de Serviços de Imprensa S.A., Rua Argentina, 171, 20921 380 Rio de Janeiro, Brazil. ISBN 85-01-06169-7. The Best Schools. Artmed Editora SA, www.artmed.com.br. ISBN 978-85-363-1325-2. O Génio Dentro De Ti (You’re Smarter Than You Think), Sebenta Editora, Rua Cidade de Cordova, 2, 2610-038 Alfragide, Portugal, website: www.sebenta.com; email: info@sebetan.com. IBSN 978-972-799-207-2. The Human Odyssey. Artmed Editora SA, www.artmed.com.br. ISBN 978-85-363-2516-3. The Myth of the ADHD Child. Editora Manole Ltda, Ceci Avenue 672m, Barueri, SP 06460-120, Brazil, www.manole.com.br/, Forthcoming. Esti mai inteligent decat crezi. 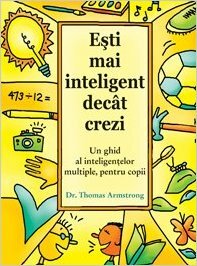 Un ghid al inteligentelor multiple, pentru copii [You’re Smarter Than You Think), Editura Curtea Veche, Str. Aurel Vlaicu, nr. 35, corp B, sector 2, cod poștal 020091, Bucureşti, 2012, comenzi@curteaveche.ro, ISBN: 13: 978-6065881549. In Their Own Way (rev. ed.). Family Leisure Book Club. (Gagarina Av. 70, Kharkov 61140, Ukraine) Email: support@flc-bookclub.com ; ISBN 966-7857-68-9. You’re Smarter Than You Think, Mann, Ivanov, and Ferber, Moscow, 2016, http://www.mann-ivanov-ferber.ru, ISBN: 978-5-00057-884-1. Awakening Your Child’s Natural Genius (Prebudite genija v svojem otroku). Ucila d.o.o. (Ckorkskega odreda 24, 4292 Krize, Slovenia). ISBN 961-233-210-X. ADD/ADHD Alternatives in the Classroom, Editorial Paidos (Buenos Aires, Argentina). paidosliterario@ciudad.copm.ar. ISBN 950-12-5507-7. 7 Clases de Inteligencia: Identifique y desarrolle sus inteligencias múltiples (Revisado). Editorial Diana, Roberto Gayol, 1219, Col. de Valle, 03100, Mexico, D.F., Mexico. www.editorialdiana.com. ISBN 968-13-3404-3. Inteligencias múltiples en al aula: Guía práctica para educadores (Multiple Intelligences in the Classroom), Ediciones Paidós Ibérica, Mariano Cubí, 92=-08021, Barcelona, Espana – 2006. www.paidos.com. ISBN-13: 978-84-493-1914-3. 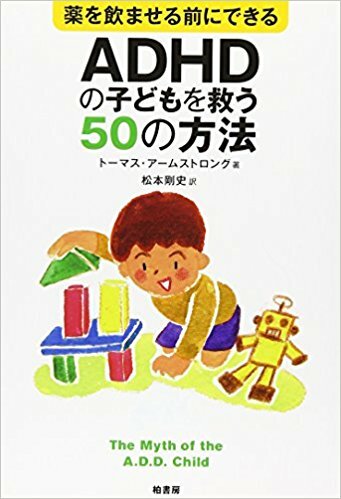 Eres más listo de lo que crees: Guía infantil sobre las inteligencias múltiples (You’re Smarter Than You Think) Ediciones Oniro, Avda. Diagonal 662-664, Planta Baja – 08034 Barcelona – España – 2008 – (oniro@edicionesoniro.com – www.edicionesoniro.com ). ISBN: 978-84-9754-325-5. El poder de la Neurodiversidad: Las extraordinarias capacidades que se ocultan tras el autismo, la hiperactividad, la dislexia y otras diferencias cerebrales. [The Power of Neurodiversity]. Paidos (Espasa Libros, S.L.U., Avda. Diagonal, 662-664, 08034 Barcelona, España. www.paidos.com; ISBN: 978-84-493-2588-5. Multiple Intelligences in the Classroom, 2nd ed. Ediciones Paidos Iberica S.A./Editorial Paidos S.A.(Barcelona, Spain, 2017). www.paidos.com. ISBN: 978-84-493-3371-2. 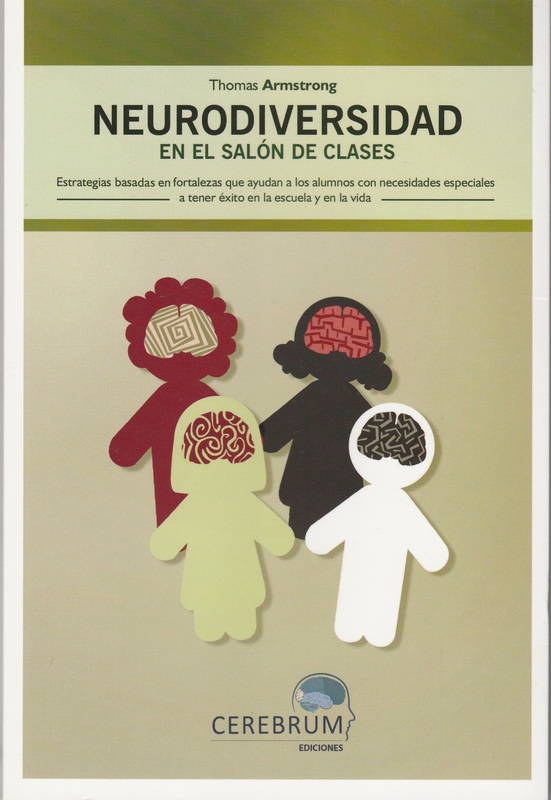 Neurodiversity in the Classroom, Cerebrum Publishing, Lima, Peru. http://pe.cerebrum.la/. informes@cerebrum.la – ISBN: 978-61-246-8860-7. Multiple Intelligences in the Classroom. Publisher: Brain Books AB (Box 344, 551 15 Jonkoping) (e-mail: info@brainbooks.se; website: www.brainbooks.se). ISBN 91-88410-71-4. Läs & Skriv Med Alla Intelligenserna (The Multiple Intelligences of Reading and Writing: Making the Words Come Alive)Translated by Bite Wallin, Brain Books, AB (Box 344, 551 15 Jonkoping) (e-mail: info@brainbooks.se; website: www.brainbooks.se). IBSN 91-89250-94-X. Multiple Intelligences in the Classroom. Publisher: Thai Ministry of Education (Bangkok). Contact: Ms. Chutikarn Boonyathitusk chutikarnb@hotmail.com . ISBN 974-268-7358. You’re Smarter Than You Think. Plan for Kids Co. Ltd., 83/29 MOO 6 Ngamwongwan Rd., Tungsnghong, Lak Si, Bangkok, 10210, Thailand. email: pharinas@1clickidea.com. ISBN 974-94118-6-2. 7 Kinds of Smart (rev. ed.). Book Translation Institute, Ministry of Education, Bangkok 103009. Forthcoming. 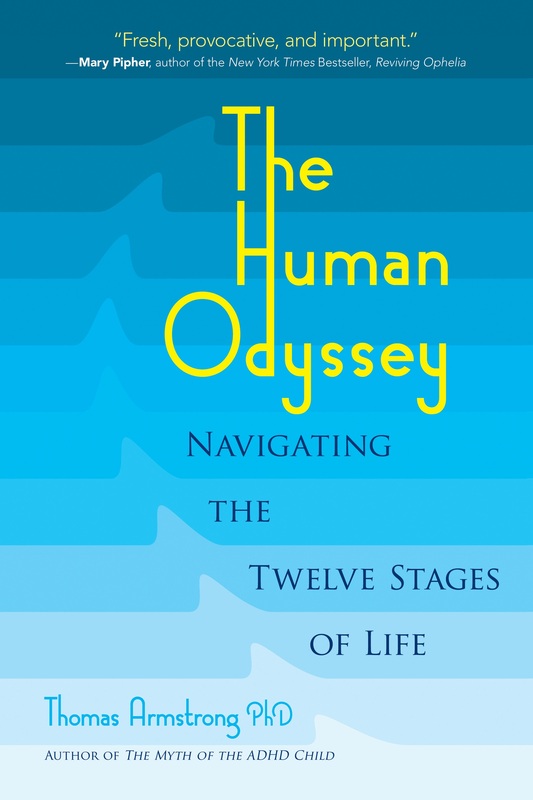 The Human Odyssey, Kuraldisi Yayincilik, Alemdar Mah. Çatal Çesme Sok. No:30 Kat:2 Firat Han Caaloglu-Istanbul. Tel: 0212 513 81 57. yayin@kuraldisi.com ; www.kuraldisi.com. ISBN 978-975-275-154-5. Neurodiversity in the Classroom. Tuzdev Genel Merkezi, Kisikh Mah, Alemdag Cad, Yanyol Sok. No. 28, Uskudar/Instanbul, 2017. Tel. 0212-446-38-88; Fax: 0212-446-38-90. http://www.tuzdev.org. iletisim@tuzdev.org. ISBN: 978-605-64798-2-3. 7 Kinds of Smart (rev ed.). Alpha Books, 176 Thai Ha, Dong Da, Hanoi, Vietnam. info@alphabooks.vn. ISBN 8936066701150. You’re Smarter Than You Think. Alpha Books, 176 Thai Ha, Dong Da, Hanoi, Vietnam, website: www.alphabooks.vn email: info@alphabooks.vn . ISBN 8936037749884. Multiple Intelligences in the Classroom, 3rd Ed. Vietnam Education Publishing House, 81 Tran Hung Dao St., Hanoi, Vietnam. Forthcoming. (Note: independent translators should have an agreement with a specific publisher in their country before they approach these representatives). Translations@ascd.org – (Multiple Intelligences in the Classroom, 2nd Ed., The Multiple Intelligences of Reading and Writing, Awakening Genius in the Classroom, and ADD/ADHD Alternatives in the Classroom). Rights Manager, ASCD, 237 South 18th Street, Suite 6A, Philadelphia, PA 19103, Phone: 215-546-2232; Fax: 215-546-2249.